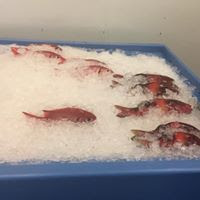 Pre-cooked Chinese food sold at Chinese grocers in the US is not a new phenomenon. 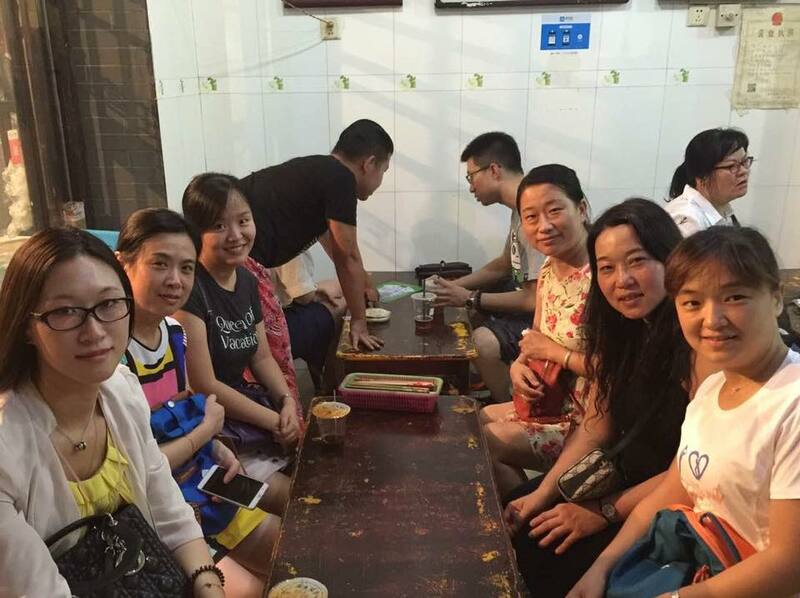 Just like the global movement which an increasing number of female workers had started to join the workforce full-time since the 70's, a lot of Chinese women also ventured outside the boundary of the home turf and took up full-time careers. The responsibilities and expectations on women to take care of the family, also like most working women in the world, never disappeared. 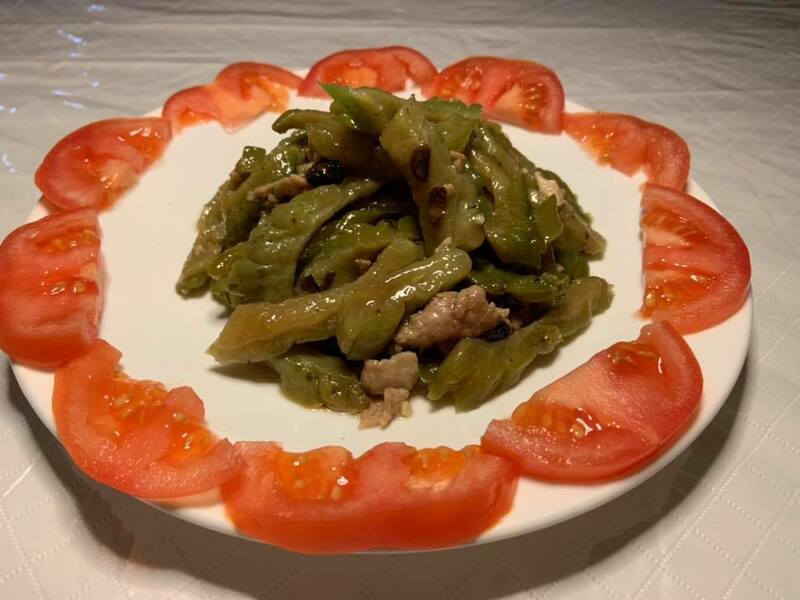 Pre-cooked Chinese dishes, which are already seasoned with familiar traditional Chinese flavors and are available in many varieties at the steam table of these grocers, are the most efficient and delicious way to feed the family after a long day of work. It is a life-saver! 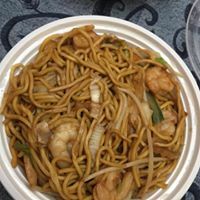 Most importantly, the home-cooked flavors cure the homesickness for some like the recent immigrants, and for others maintain a little bit of the Chinese tradition through food in families that face the competition of other fast dinner choices of McDonald, pizza delivery or microwave dinners. 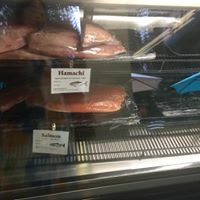 These pre-cooked meals are usually cooked really well as the grocery stores sell the fresh produce, poultry, meat and all ingredients themselves, and rely heavily on repeat customers who live in the vicinity. 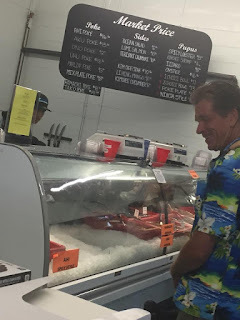 For people like me who don't live near these grocers and only get to enjoy these dishes occasionally, the game plan is to eat in abundance and pair them with wines. 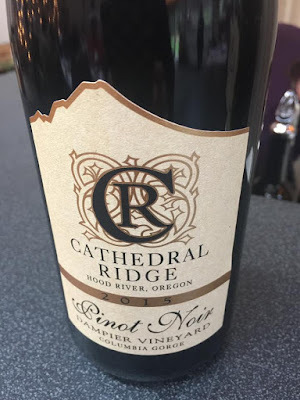 A recent trip to the Pacific Northwest introduced me to a few high-quality and vibrant Pinot Noir that are produced outside the Willamette Valley in Oregon. The 2012 Dampier Pinot Noir, produced by Cathedral Ridge in Hood River, is a light-bodied Pinot that has the aromas of strawberry, herbs and sour cherry and brims with pomegranates and earthy notes. 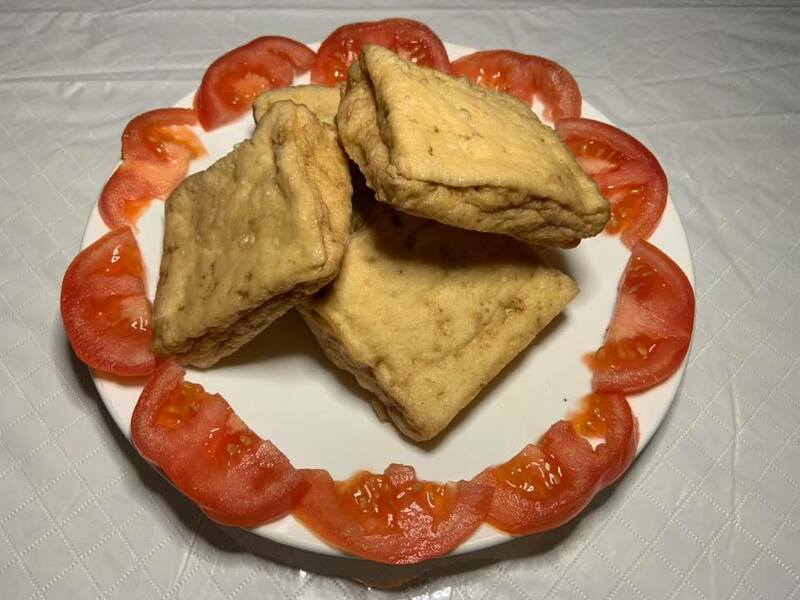 The tofu chunks, a simple appetizer dish that I fancy a lot, are deep-fried, airy and crispy outside, soft and moist inside, and are bursting in salty and soya bean flavors. The Dampier Pinot can complement the airy texture and earthy tasting of these tofu chunks with slightly sour and mineral notes. 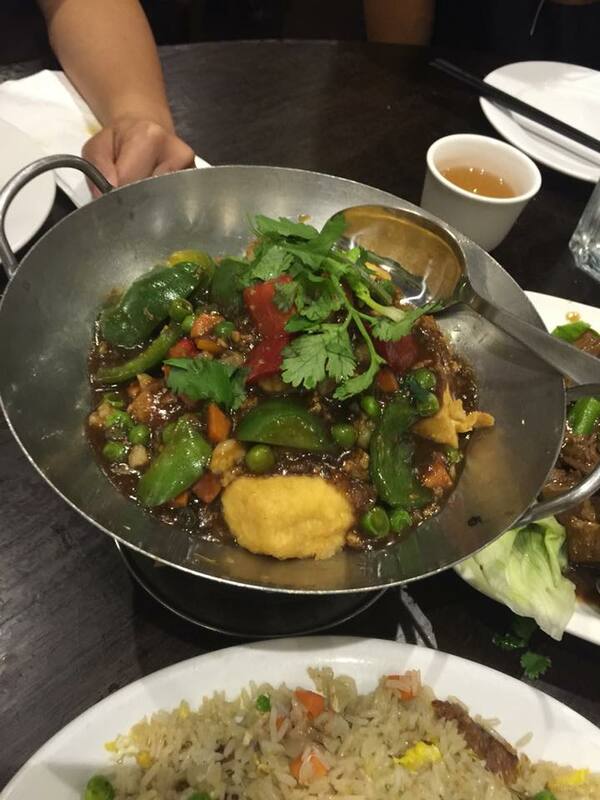 Rarely vegetables are not served in Chinese meals. 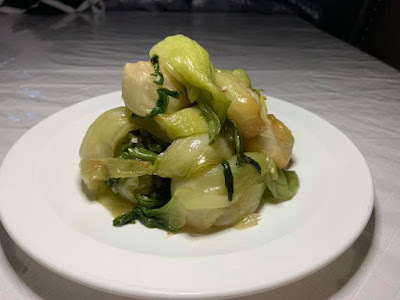 Fresh Chinese greens such as bok choy are treated with a quick stir-fry with salt, garlic, white pepper and a dash of sesame oil. The Dampier Pinot is light and cheerful that won't overpower any cooked greens. Over and over again, I found red Zinfandel pairs really well with mildly spicy Chinese dishes. 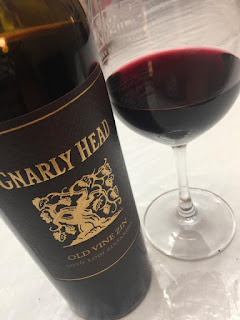 The 2016 Gnarly Head Lodi Old Vine Zin that I picked up from Total Wine, a wine mega store in the East Coast, is no exception. Its ripeness, jamminess and toasty aromas pairs well with the eggplant and green pepper that is stuffed with minced and well-seasoned fish paste. The stuffed eggplant and green pepper is not an easy dish to make if you try to do everything from scratch. 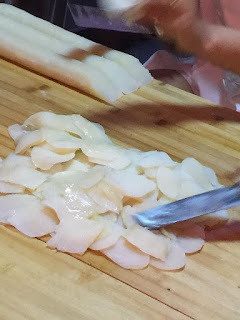 The fish paste is typically made from ground up tilapia and pollock, egg white, white pepper and cornstarch to an elastic and pasty consistency. When it is applied to the eggplant "pockets" and the green pepper wedges, it needs to stay inside. 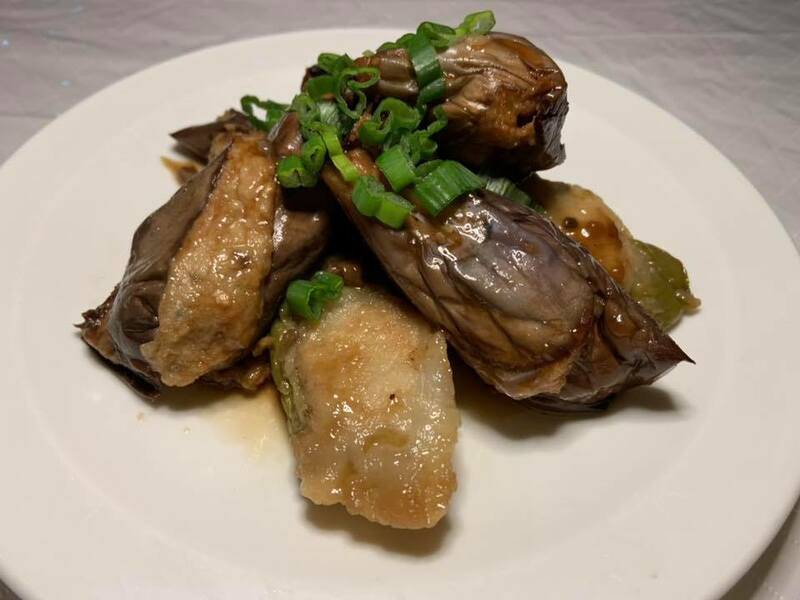 Once the eggplant and green pepper are pan-fried and the fish paste is fully cooked inside, they are glazed with black bean garlic sauce (aka the go-to sauce of Cantonese cooking). This Old Vine Zin is bold, spicy and versatile enough to simultaneously bring out the white-peppery flavor of the fish paste, the creaminess of the cooked eggplant and the spicy green pepper. 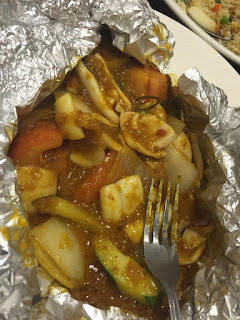 Either you love it or hate it... bitter melon to a lot of people is an intimating vegetable to use, let alone to eat. 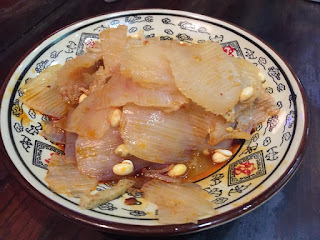 For the gastronomic warriors who embrace the full spectrum of the five tastes (i.e., sweet, sour, bitter, salty and umami), stir-frying sliced bitter melon with thin strips of beef (recipe courtesy of The Woks of Life) or scrambling eggs with the cooked bitter melon slices are typical Chinese ways to enjoy this bitter veggie. The bitterness can be reduced by quickly blanching bitter melons in boiling water. 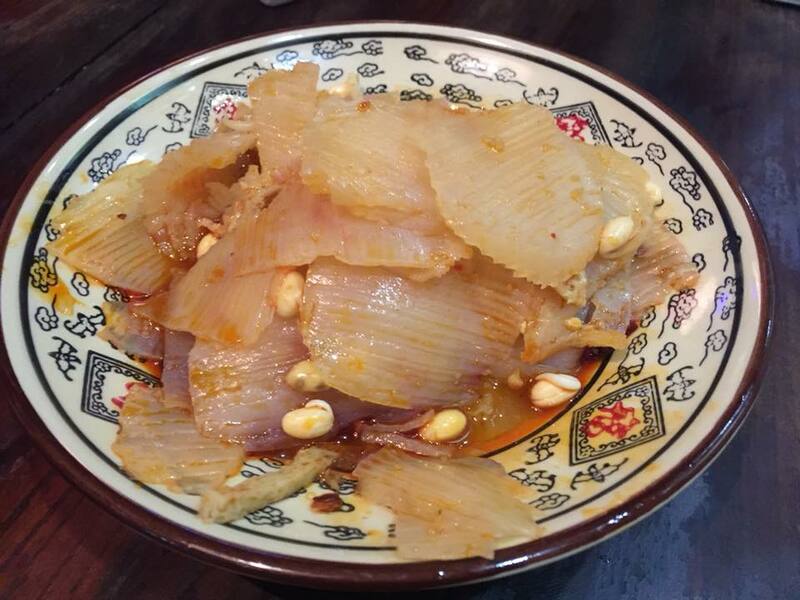 Just like any stir-fried vegetable dishes, not overcooking the bitter melon is key to retain the dark green color and crunchy texture. 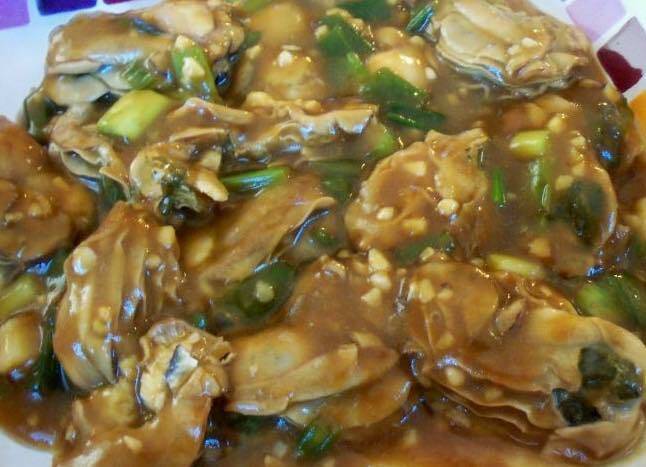 A quick toss of black bean garlic sauce, just enough to coat the bitter melon, is all it takes to finish this dish in the wok. The Old Vine Zin is peppery and has a lingering finish of spiciness, which does a perfect job to complement this complex dish. 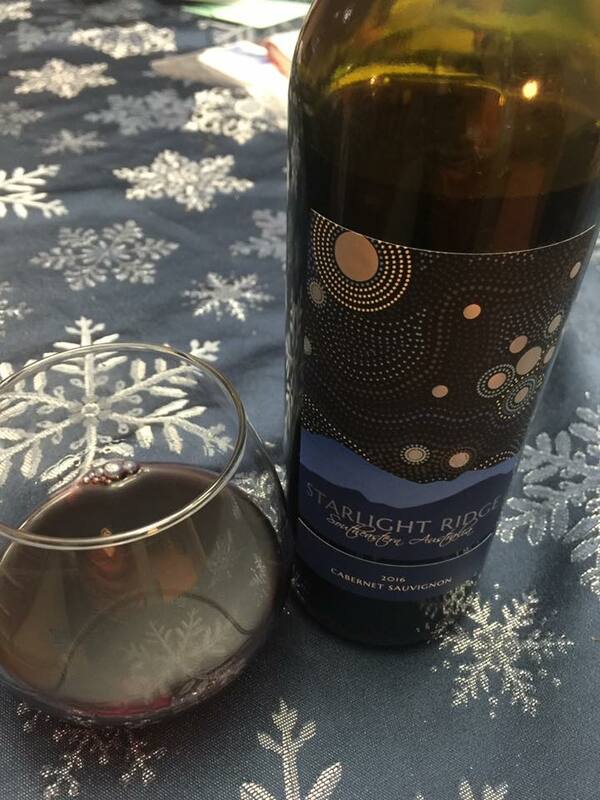 I got this bottle of 2016 Starlight Ridge Cabernet Sauvignon from the Cab bundle at the Heartwood & Oak online store. 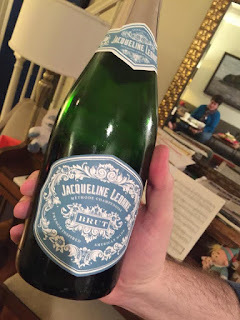 Buying wine bundles from an online store is like dating online...it's exciting...you look at the profile, the photo... but never know what you really get until you "meet" the bottles. This Cab, which is from southern Australia's famed Southeastern region, is a big hit with the pork rib dishes that are prepared in two different styles. The tofu strips (in golden color) and pork ribs are braised in dark soya sauce and mijiu (cooking rice wine), cooking to perfection until the ribs fall off the bone. Dark soya sauce, a staple for Chinese stew, is darkened and thickened with molasses or caramel, added cornstarch, and is aged for a longer period of time than the regular soya sauce. When "aging" comes into the picture, aging this soya sauce in bourbon barrels or glass containers differentiate the prices and flavors. 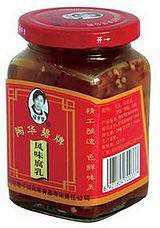 It is primarily used for cooking instead of a dipping sauce used in dumplings or sushi. 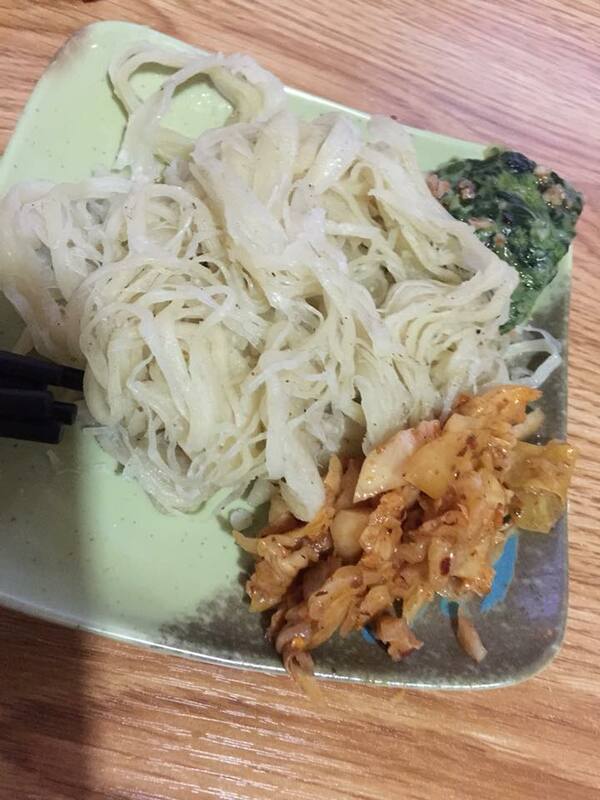 Tofu strips are sold as dry food on the shelf in the store, and are rehydrated in water until it is softened prior to cooking. 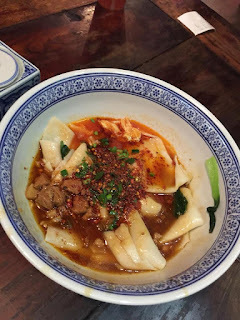 Unlike fresh tofu, the strips, used mostly in stew, have intense soya bean flavor, are harder in texture and fun to eat as the layering does absorb all the goodness of the fatty sauce of the meat. This Aussie Cab is juicy and unmistakably entices with ripe and rich notes of cassis, black currant and blackberry aromas, working amazingly well with the heavier mouth-feel of this savory braised pork ribs. 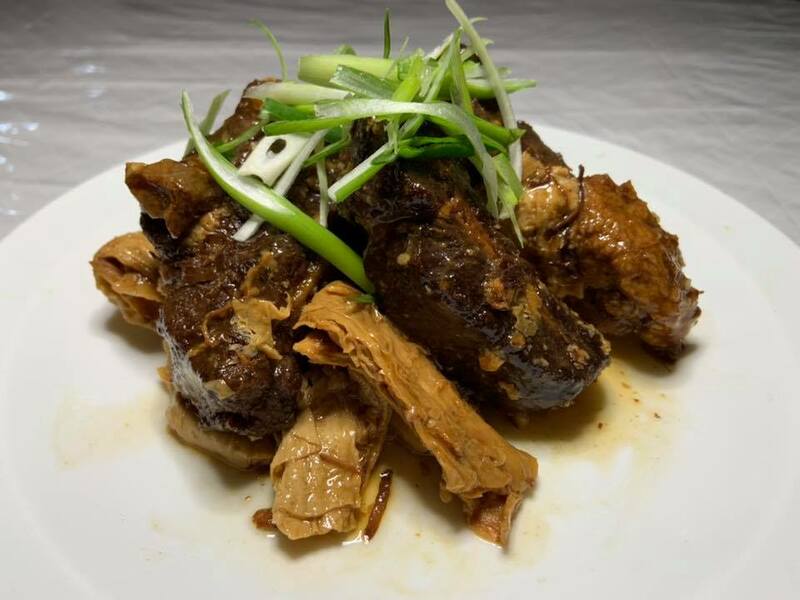 Jinsha pork rib is a Sichuan dish that has been modified by Cantonese, significantly reducing the spiciness with milder chili pepper or jalapeno. 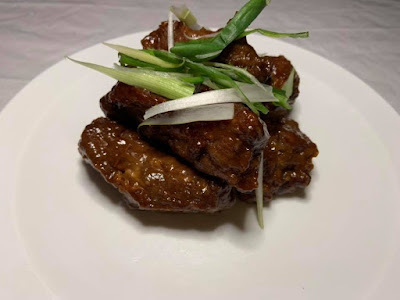 Although these ribs look like BBQ ribs, they are deep-fried first and then are braised in soya sauce, honey and jalapeno. The magic of having the sauce perfectly adhered to the pork ribs is adding cornstarch liquid at the final toss. The end result of this pork rib is the finger-licking good rib that is moist, a tad spicy, and can be easily prepared in an indoor kitchen using a wok or a frying pan. The medium tannin and the right acidity of this Cab cuts through the pork fat and complements this rich and saucy pork ribs. 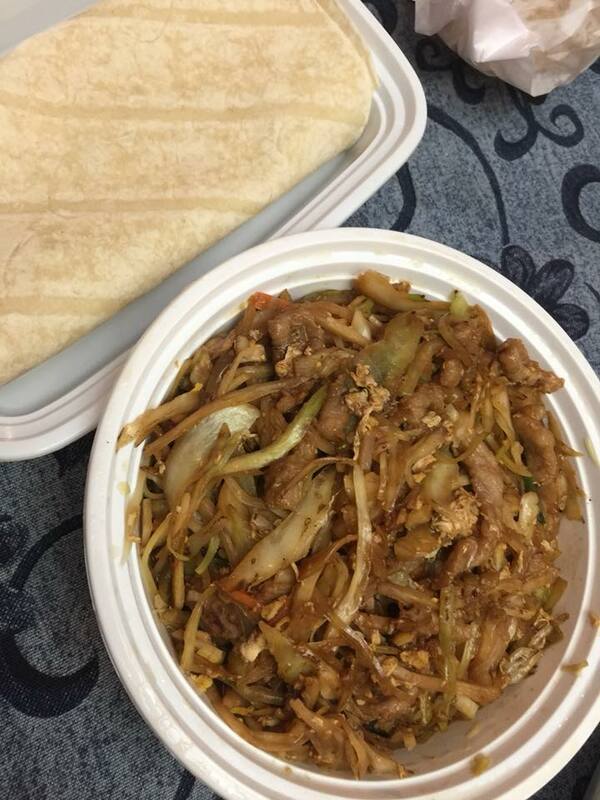 Contrary to the popular belief that Chinese don't care too much about dessert at the end of the meal, Chinese desserts in fact play a big role in wrapping up a meal. While large cakes, pies or ice cream don't always come into the picture, many other forms of Chinese desserts do add a sweet note to end the meals. For example, the hot sweet red bean soup is often served at the end of a wedding banquet. An assortment of dim sum sized sweets such as winter melon pastries, egg tarts or almond cookies, to name a few, can be served in a platter to please the crowd who has a sweet tooth. What I personally like a lot is the Chinese steam bun which has mildly sweet red bean paste inside and is wrapped by the most fluffy and airy rice-floured outer bun. Since this bun is light, it leaves room for a glass of dessert wine of your choice and a relax palate to enjoy it fully. Being a New Jersey girl, I support local businesses especially local wineries like Tomasello Winery which started growing grapes and making wines 80 years ago in the Atlantic and Camden counties. The 2016 Tomasello Vintage Port is perfect for someone like me who is not a big fan of distilled or aged tawny port wine, and simply craves for an occasional glass of dessert wine to pair with my dessert. This New Jersey port is made from a field blend of 2016 Petit Verdot and Chambourcin, a grape varietal that grows really well in New Jersey. It was aged entirely in oak and was never distilled, finishing in Late Bottled Vintage style with a nice balance of fruit and residual sugar. The fresher mouth-feel of this port does exactly what I expected...allowing you to taste the bun, the bean paste and the cinnamon note that presents in this port! 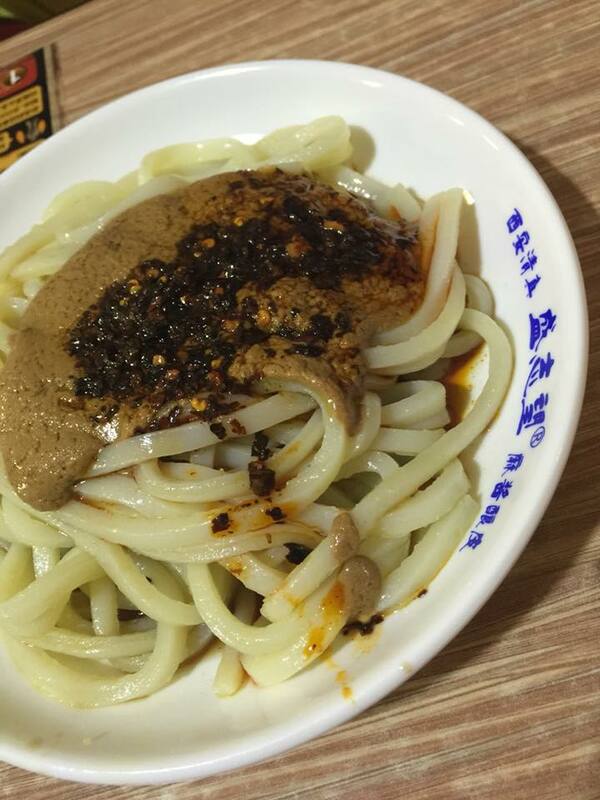 In case you are curious what the Chinese characters stamped on the bun mean...they are saying "Bean Paste" and "Peace"...a blessing that the bun maker wants to channel through his simple delights to the customers. 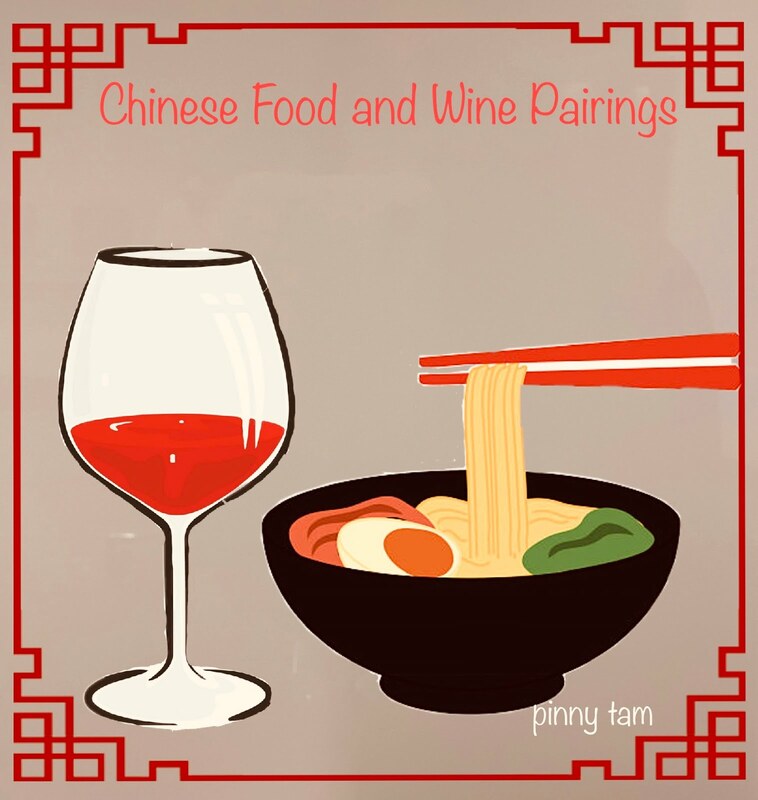 As we are closing up 2018, let's continue to explore the limitless pairing options between Chinese cuisines and wines and to remember, "life is too short not to drink wine with Chinese food!" Where to find the food and wines? 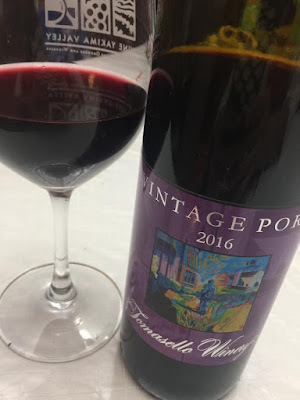 Port: http://www.tomasellowinery.com/ =>search via "Shop our Wines"
Zinfandel (Zin), white or red, is big in California, representing around 10% of all the wine production in the entire state. When we talk about Zin, white Zin undeniably pops into everyone’s mind as an easy summer wine that goes well with all summer foods or drinks alone. Before the Italian Procecco steals the spotlight of the summer poolside parties in recent years, white Zin was once a large crowd pleaser. It’s sweet, fruit-punch like, cheerful, and after all, affordable. 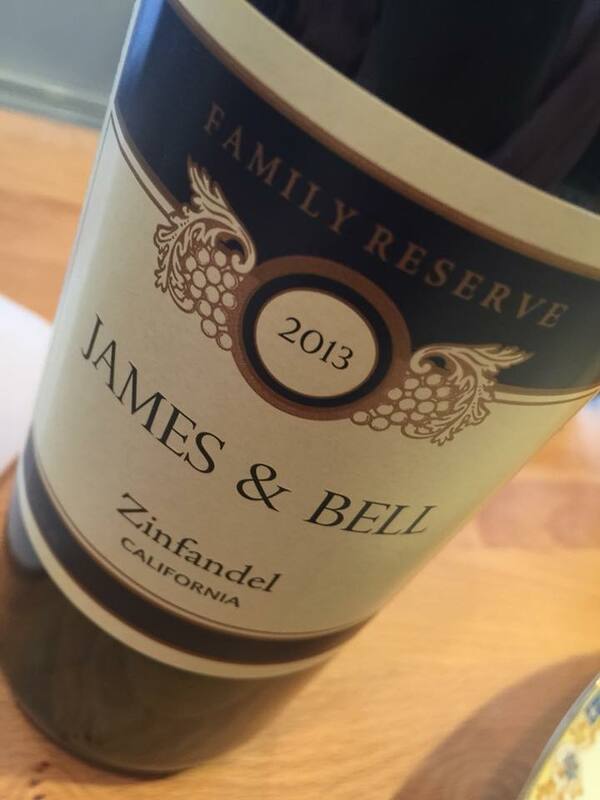 The James and Bell 2013 red Zin, which exhibits boldness, plush texture and notes of sweet spice, dark plum, leather, cracked peppercorn and licorice, however, is jammy and more sophisticated despite of a tad sweetness. 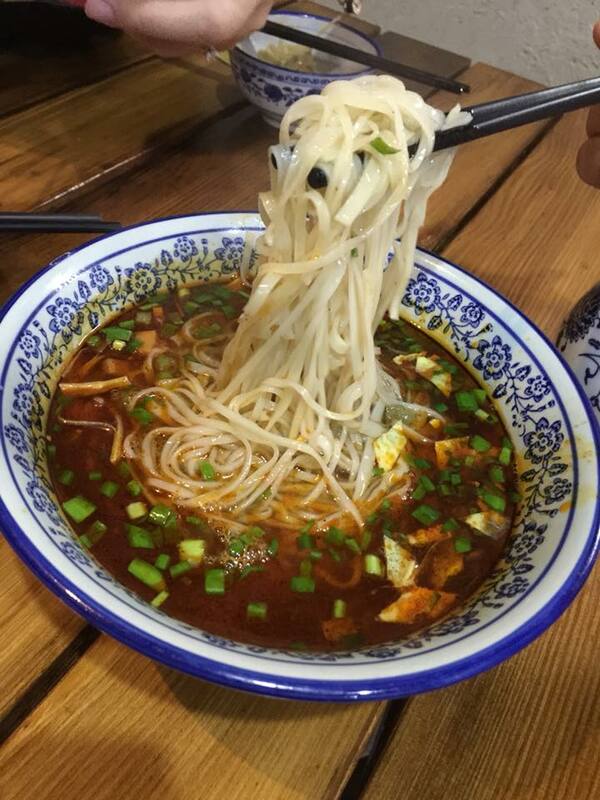 The complexity of the old vine Zin is what I go after when pairing it with spicy Xian noodles. The Xian noodles, made out of wheat, bean or white flour, often are hand-pulled to bring out the elasticity and to demonstrate the noodle makers’ artistry of making noodles from scratch that’s passed down from generations. Like the Italian, noodles are cooked to al dente (slight firm to the bite) to retain the mouthfeel. 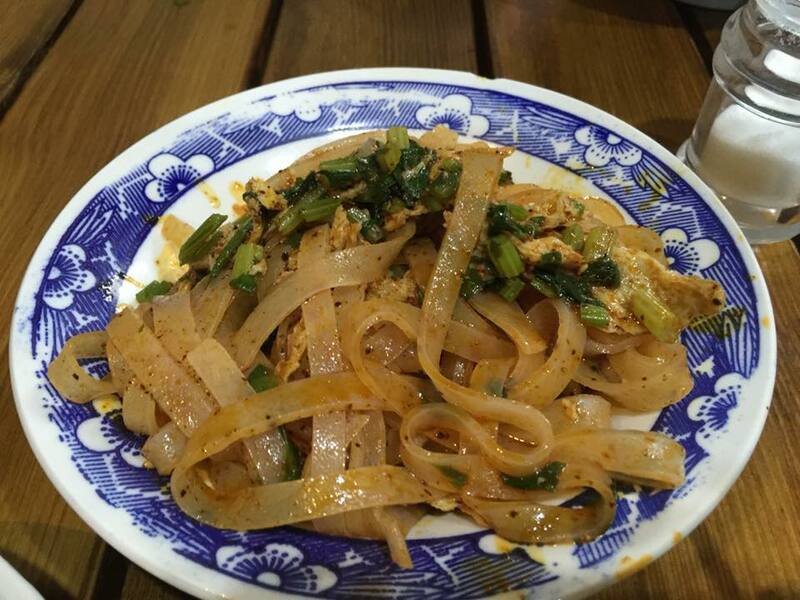 The sauce that’s added to the noodle is another key part to how the noodle will taste. And the sauce is pleasantly oily, full of different flavors...soya sauce, peanut butter, cilantro, spring onion, sweet spices like cumin, and almost always spicy up with white pepper powder, chili oil, chili pepper, chili sauce (like Lao Gan Ma). 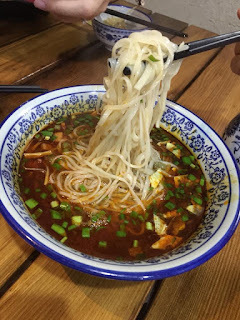 When I was in the Muslim Quarter in Xian, where the street vendors sell different styles of noodles, the best way to try all these noodles in one day is to bring a bottle of red Zin, a crew of tasters to share food, and let-go low carb attitude! 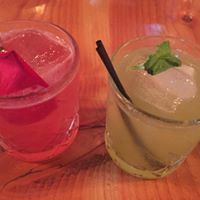 My annual summer ritual in New York is to enjoy oysters with cocktails like the smoky Hibiscus and Rose as well as the crisp The Shadmoor Smash (http://shadmoornyc.com). 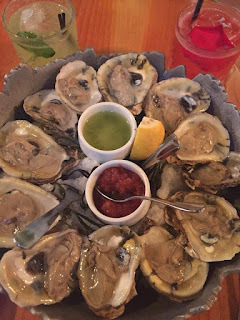 The NYC oysters come from the east or the west coasts of the US (occasional Canadian oysters if you’re lucky), which typically are named by their harvest areas such as Chincoteague, Malpeque, Apalachicola, Wellfeet, Totten Inlet, Pickering Passage, Netarts Bay and Kumamoto. While I innately indulge on eating oysters raw without any vinegar, lemon or cocktail sauce to mask the taste of sea, I do adore how Cantonese Chinese cook oysters in so many different ways...stir fry, steam, deep fry. You name it they do it. 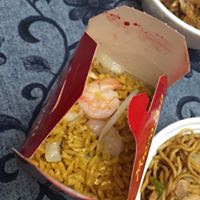 Cantonese are ingenious in cooking seafood, typically not serving raw seafood to prevent the slight risk of poisoning but gently pursuing the extra complexity of taste by adding sauces. 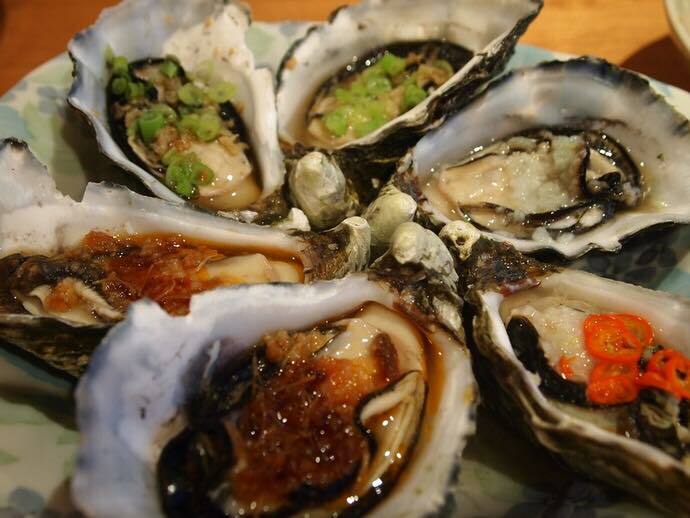 Steaming oysters with different Chinese sauces is a creative exercise. 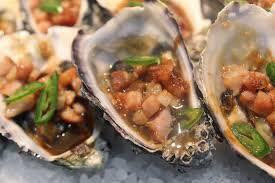 You could put hoisin, sriracha, black bean and garlic, vegetarian oyster, or XO sauce in the oysters and steam them in shell. Lee Kum Kee is the sauce master, which usually takes up half of the aisle in an Asian grocery store. To foolproof the steaming method, under boiling water, all it takes is 5 minutes to steam your oysters in a lid-covered steamer, and you’ll have a plate of to-die-for oysters in front of you, regardless of what sauce you put in. 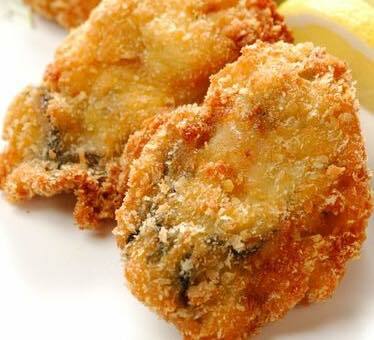 Deep-frying oysters, personally, is a less preferred method of cooking these delicate sea creatures, but could be very time-saving when you are serving and pleasing a large crowd. Just make sure it’s only 5 minutes dipping them in and out of the hot oil. Bon Appetit la! 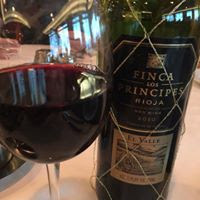 This Rioja was one of my favorites as it is spicy, coffee, a bit of fishy (in a nice way), and edgy. 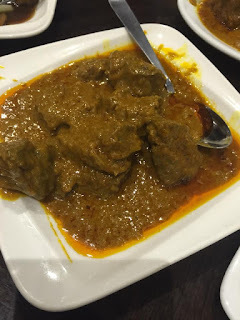 The young harshness is what I looked for in this wine to pair with these curry, satay and chilly meaty dishes. 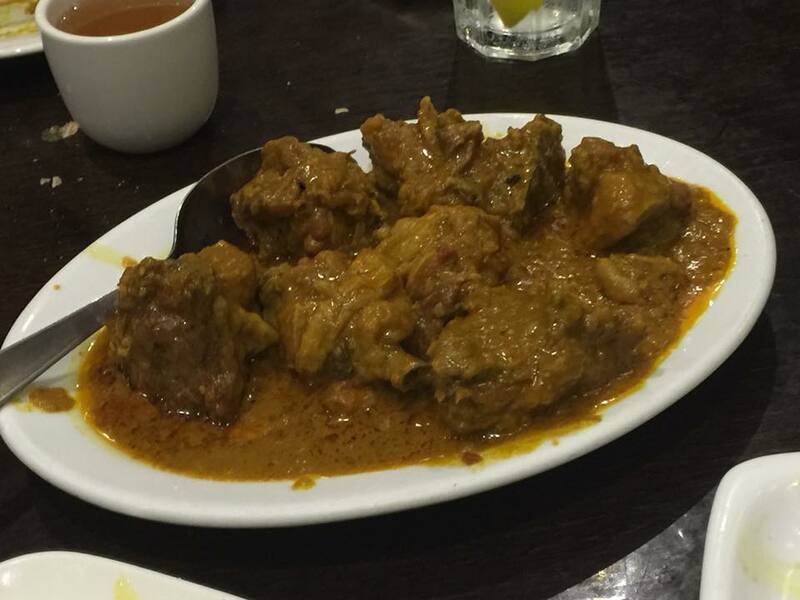 The Malaysian Chinese curry chicken and lamb use not only the curry power but also the anise and Sichuan peppercorns. All these powerful tastes would easily overpower a weak red (whites are out of the question!) Rioja, with a tad of fishy note, is edgy enough to complement the saucy meats as well as the curry squid. Anise and Sichuan peppercorns are herbal, a hint of medicinal and cast that numbing tingling sensation the palate. Compared with Indian or Japanese curries, these lightly saucy curry dishes are perfect on rice or are good to eat with no carb. Satay is an awesome sauce that combines peanut sauce, red pepper flakes and soya sauce, and goes well with almost any meats. 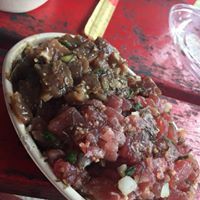 When it’s brushed on the skewers of meat, it infuses the meat and max out the flavor. 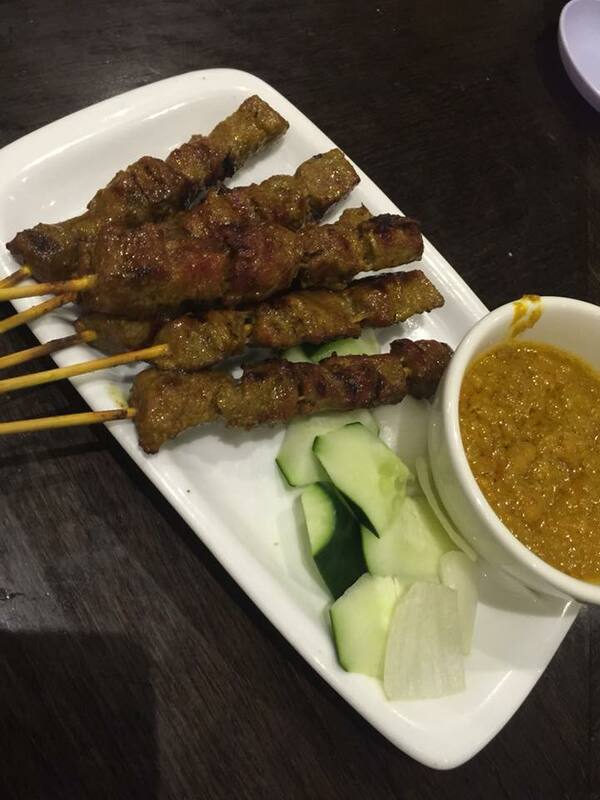 If this satay meat skewers are cooked on charcoal, it would be the best passing hors d'oeuvre you have ever tasted. People from the southern part of China traditionally liked to cook snake soup and fried sticky rice during the fall and winter months. This combo has the medicinal benefit of warming your body and nurturing your stomach. 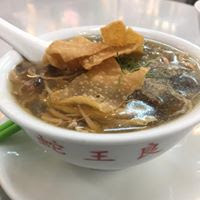 Nowadays these two comfort foods are readily available all year around and are served as street foods or delicacy in pricier and ‘old-brand’ Cantonese restaurant in Hong Kong. The nuances justify the price and quality differences. 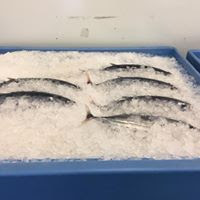 At pricier and traditional places, the careful deboning process of the snake and lightly coating the lean pork julienne with corn starch that are cooked in the soup ensure the customer enjoys a non greasy and creamy soup. 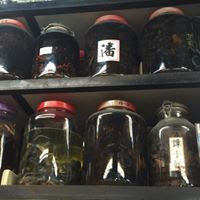 The white chrysanthemum petals and dill that typically sit in a glass jar on the dinning table of these old shops are to be accompanied the soup, adding aroma and flavor. The right balance amount of sticky and long grain rice, cooked to perfection, is the base of the successful sticky rice...chewy, sticky but still allowing you to pull out each grain by chopsticks if you want to. Chinese sausages that are used in the rice need to be lean but fat enough to flavor the rice. 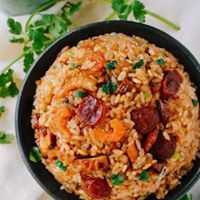 The sea aroma of the scallion infused dried shrimp ties the rice and sausage together, distinguishing a great bowl from an average one. 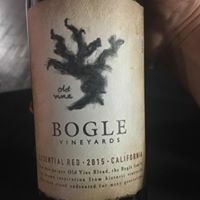 This Bogle Essential Red is an affordable red blend of old Zin, Syrah, Cab and Petit Siraz that I would pair with these Cantonese delicacies. The medium tannin of this red is ripe and mouth-filling and can tame the complex flavor of the soup and rustic texture of the rice. 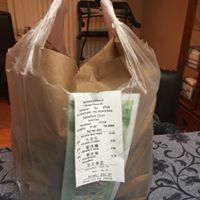 Friday night, too tired to cook...Chinese take-out crosses my mind. 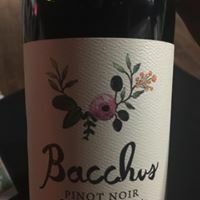 If you go easy on the grease and meat but rather carb load, I’d say this young unoaked Bacchus Ginger’s cuvée Pinot Noir would reinvent your take-out dinner. Since there’s no oat getting into way, its freshness and light-body with bursting raspberries on the nose and palate really beams through all these tasty carb heavy dishes like moo shu pork, shrimp lo mein and chicken fried rice. This Pinot is light but structurally maintains the fruity note and tannins, making it east to drink with subtle acidity. 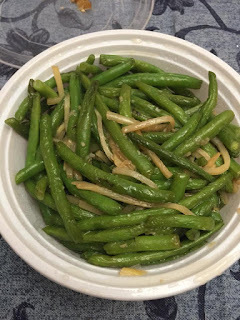 Of course, always eat your vegetable, some fried string beans won’t hurt. 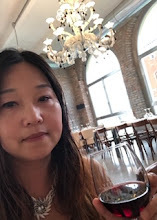 After a couple of glasses, the Pinot leftover would undoubtedly go well with your fortune teller cookie and Chinese pastries like winter melon cake(老婆餅) or pineapple cake.